This is perfect and clever. I must admit, I was eager to read your explanation for this card, because I didn't get it at first. But, now, it is all perfectly clear. So clever! Love how you interpreted the cue word! Eek! 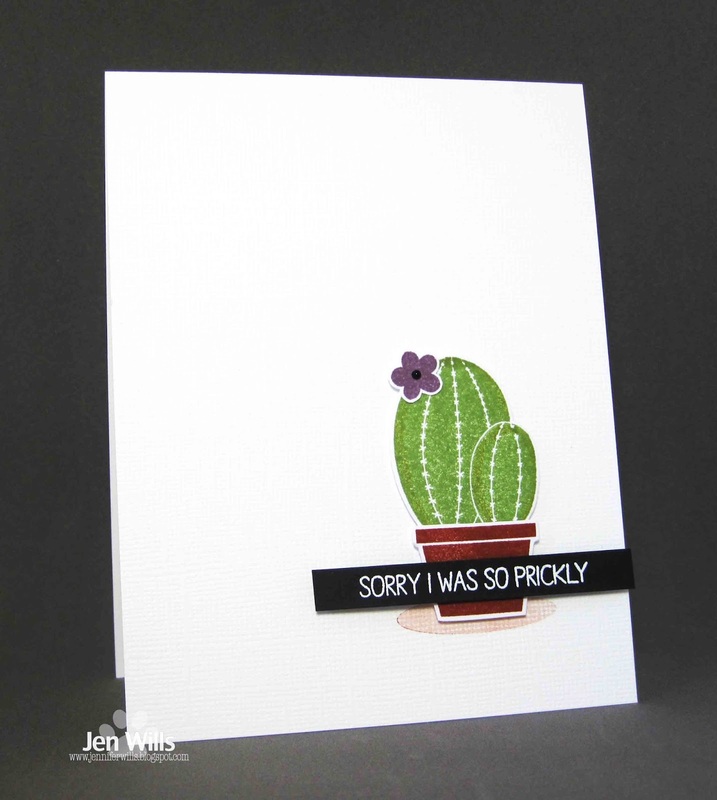 Too much fun and really a perfect apology card! 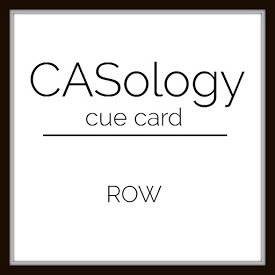 Love your take on "row", Jen, and what a fun image to use! You, prickly? No way. Must be for someone else. ;) Perfect CAS design! I think I love cactus almost as much as flamingos! Love this! Yes, Yes and YES!!! SO glad you went down this path! A word well understood over here! I was thinking the same thing and was going to pull out the 'sorry I was crabby' sentiment from Lawn Fawn, but settled on some lush leaves instead! I absolutely ADORE this little cactus with its flower top! I think it comes with free forgiveness, doesn't it? ?